Nigella Lawson | The difference is in the detail. The weather is just gorgeous today. It makes me want to be outside and not stuck indoors. And picnic is what comes to mind first ! So, if you have a special occasion planned…why not take it outside? It can be as stylish and pretty as any indoor occasion. 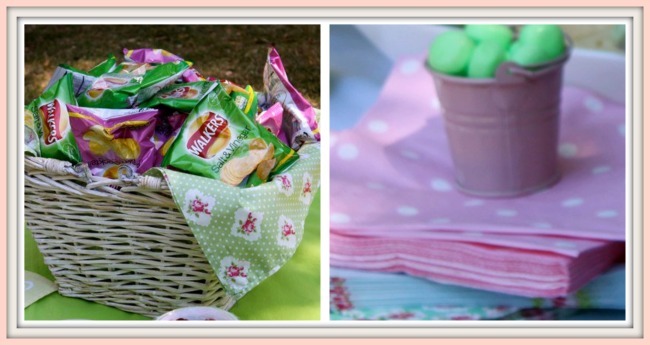 To turn your picnic from an ordinary outing into an unforgettable occassion…don’t take the easy route of simply pulling out store-bought items. 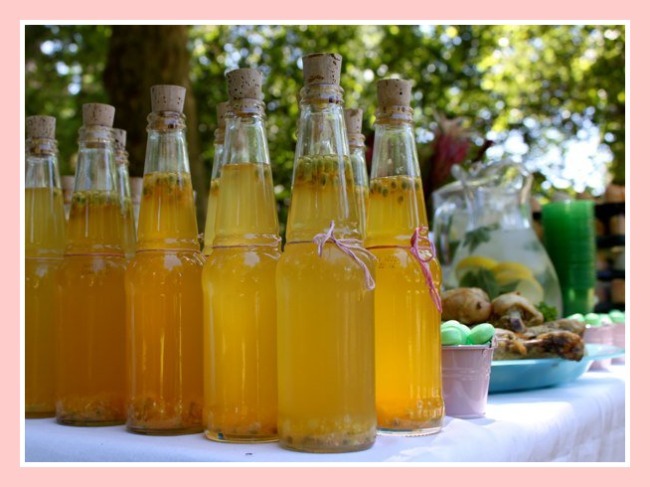 Trust me – it is not too much effort to fill your own bottles with a mix like rooibos punch to which you can add a little passion fruit pulp, put the water in a pitcher with fresh lemon and leaves, add a vase with flowers even if you are in a beautiful park or forest… and you can be sure that your guests will notice that you did not simply “show up”…they will know that you are happy to be there with them and you were preparing for this day long before they got their picnic blankets out ! Do I even need to say this? Colour-co-ordinate – yes, EVERYTHING, including the food…..it is KEY …. it brings your picnic all into one spot without being lost in the big open spaces. Keep your eyes open in the shops and soon enough you will easily find foods that fit the bill for your colour scheme of the day! 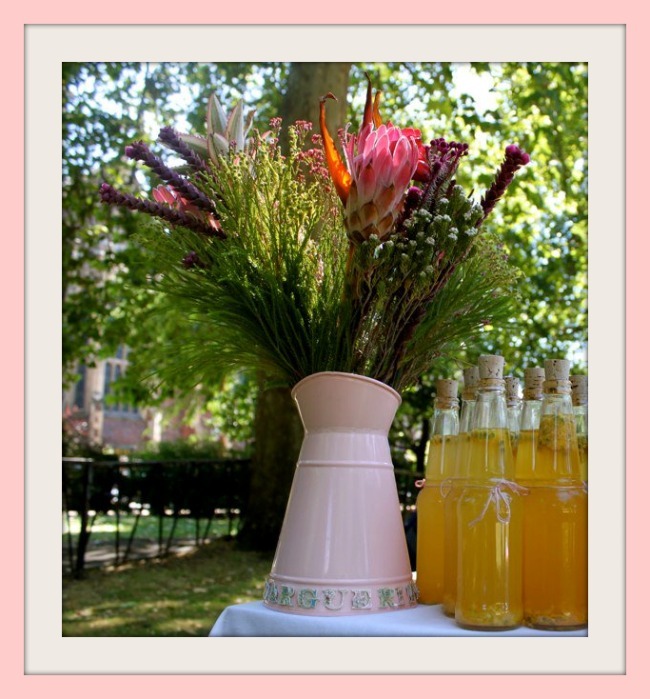 Add some really special touches by reminding everyone what or who the event is for, by adding a name to a vase or container or any item on your table (especially if it is for someone as cute and adorable as our dearest cousin who was the guest of honour at this event !). In this case, scrapbook letters were stuck onto the vase – they are ready-made (forget tracing and cutting – because let’s be honest – who has time for that?? !….., they are pre-glued and they can be removed easily. Instant glamour. What more do you need? Find them at any scrapbook supply store. And no special occasion can be complete without putting a fabulous cake forward – and because it is a picnic, this topping was perfect remembering that you are out there in Nature! 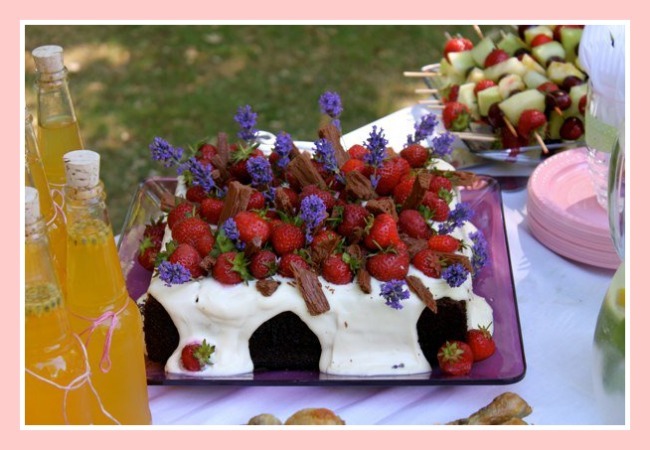 Fresh lavender and strawberries…..with chocolate flakes … yum ! To give credit for this topping idea, I need to point you to the recipe book where I originally found it – called PASELLA (found in bookstores in South Africa). It is a butternut cake – doesn’t that just sounds interesting to start with?! Pre-heat oven to 160 C.
Mix the oil, sugar and eggs in a mixing bowl. Mix the sultanas, nuts, butternut and pineapple into the sugar/egg mixture. Sift the dry ingredients and add to pumpkin mix till well-mixed. Add vanilla and then stir cream cheese in. Add topping over cake till it runs over the sides. 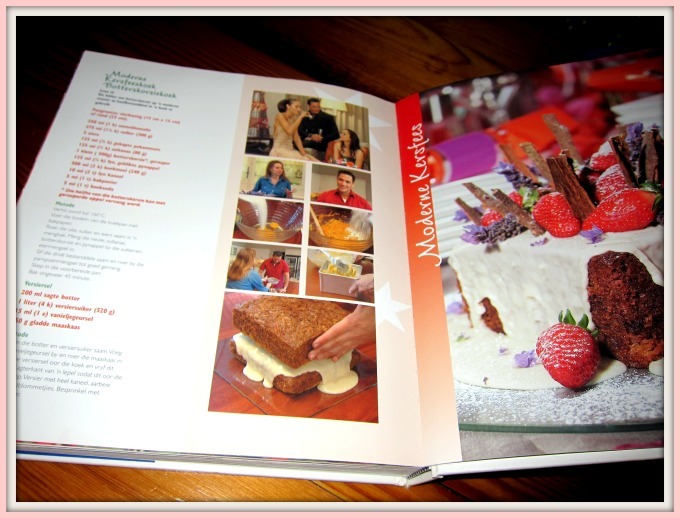 Top with cinnamon sticks or chocolate flake, strawberries and lavender. And wait for your guests to ooh and aah after this ! I repeat – wait for the ooh and aah’s – especially your health conscious friends. But you can use any alternative cake under this festive topping. In this case, it was substituted by a Guinness cake from Nigella Lawson. And worked wonders. What else can you expect from Nigella’s kitchen? If you dont’ get hung up on having walnuts and little carrots on your carrot cake, I am sure a carrot cake will do the trick under that topping as well! 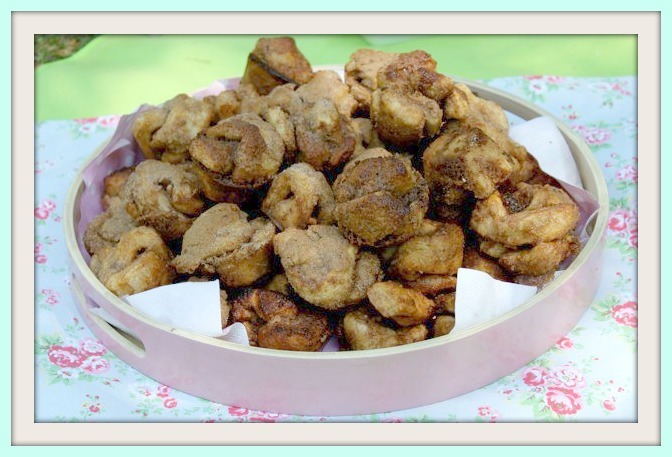 And another winner for the day were these Cinnamon Crunch Cobbler Muffins. They are yummy and they pull apart … great for replacing an ordinary muffin into one that have your guests asking for the recipe ! With chopped pecans and lots of butter, this picture can really not tell you how yummy and gooey they are…it is after all a PARTY ! If you want the recipe – e-mail me at ioblog@me.com and I will be more than happy to mail it to you ! Your party can be perfect – even as a picnic. The difference is really just in the details ! Enjoy the lovely weather everyone. And do tell me if you love picnics ! Or where your favorite picnic spot is ! !